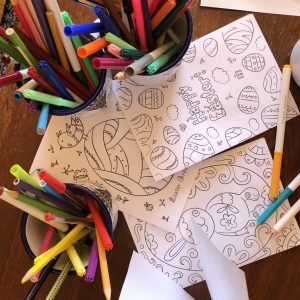 It’s Easter School Holiday Fun times at Jester House from Saturday 13th until Thursday 18th April we have four Easter Card designs for the children to create a card to give or post to their special person. Children can delight in the Easter Egg Hunt throughout the Jester House gardens. With the Easter Egg Hunt Fun underway, children hunt for 9 Easter Eggs, and once completed they receive a lovely Easter Biscuit. 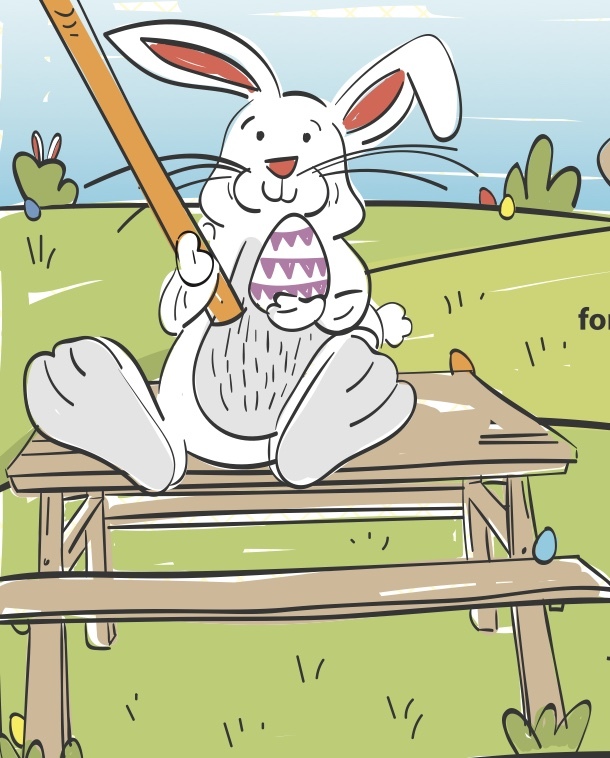 All children can enter to win the best Easter Egg Colouring Design. Judy and Steve will choose the best designs and the overall winner receives a Jester House t-shirt of their choice, and the runner up prize winners receive a Jester House Voucher. At Jester House Cafe we love to play. 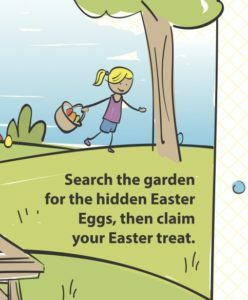 Come and have fun as the children play and hunt for the 9 hidden Wooden Easter Eggs in the Garden. 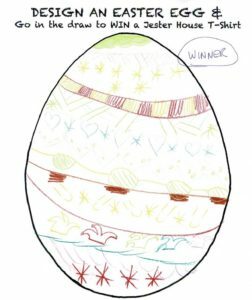 There’s also the Design and Easter Egg colouring activity the children can enter, and they may just be the lucky winner of the Jester House T-Shirt. 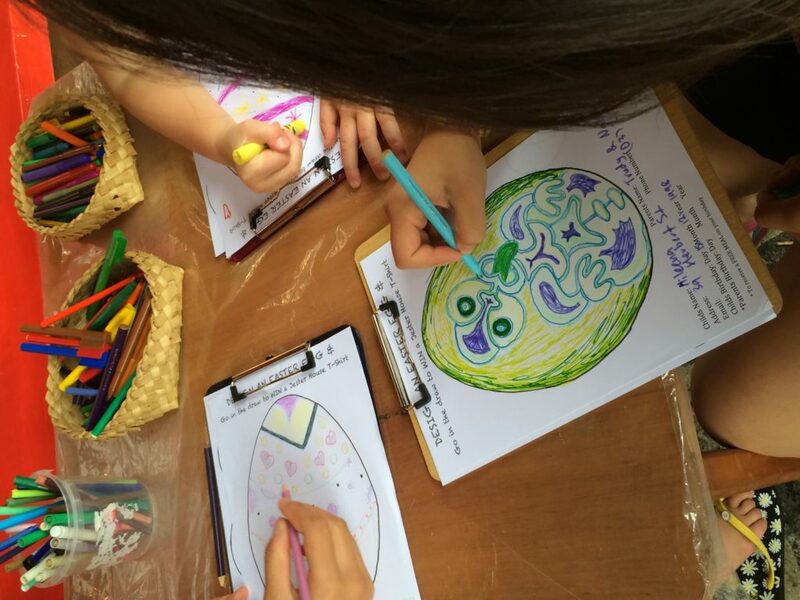 Before Easter Weekend (Saturday 13th – 18th April) the children can decorate any of the four gorgeous Easter Cards we’ve especially prepared for pre-Easter Weekend. We’re looking forward to sharing the holidays with you all and hope that you plan and book a table as it does get very busy and we’d be disappointed for you if you missed out on the Easter School Holiday Fun activities at Jester House.